Our Clayton office currently has a vacancy for an experienced, highly motivated Field Service Technician to join their passionate Metro Field Services team. This is a full time permanent position offering excellent stability and the chance to join a brand that is synonymous with outstanding customer service and first-class machinery. This fast-paced role would suit someone who is a natural problem solver and enjoys working autonomously. 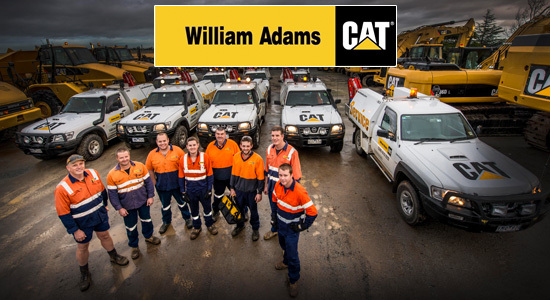 Onsite trouble-shooting, diagnostics, repairs and maintenance on CAT equipment (predominately earthmoving and construction) and their components; hydraulics, transmissions and engines. This fast-paced role would suit someone who is a natural problem solver and enjoys working autonomously. An attractive salary package is on offer which includes a fully maintained service vehicle plus a mobile phone and lap top. Hours are 7:30am to 4:30pm, Mon to Fri with the chance of overtime.